One of Victoria's longest-running and most diverse beer festivals returns to its home at the Geelong Racecourse again in February, bringing together more than 200 craft beers and ciders, music, food, entertainment, brewer challenges and more. All the favourites from past events will be there, while, as ever, the organisers have conjured a few new ideas for guests. 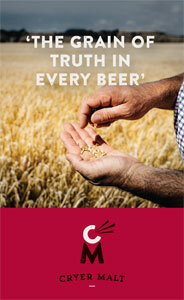 On the beer front, there's close to 40 Australian brewing companies in attendance – view the full list here. Meanwhile, across three stages, you can pick from 20 bands, with Kingswood headlining the main stage and local operation Little Creatures curating a variety of circus and vaudeville acts on its own stage – view the entertainment schedule here. 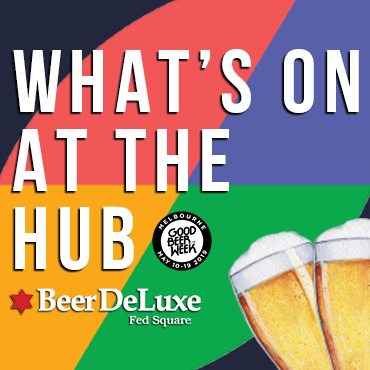 Attendees can also drop into a piano and beer cocktail bar, attend free beer and food pairing seminars or tuck into food from a range of food trucks and stalls – check the food lineup here. Doors are open from midday to 8pm on February 17, with shuttle buses operating between South Geelong railway station and the festival during the day and further buses running from the Bellarine Peninsula, Ocean Grove and Torquay with stops in between. Tickets start from $43pp for entry, rising to $50pp on the day, and you can buy tokens in advance too. If you're a member of The Crafty Cabal, our beer lovers bonus scheme for supporters of the site, then you could get your hands on a free ticket. We've got five general admission tickets to give away to five lucky Cabalistas – simply enter the ballot in your member's area before February 9 when we'll pick the winners and notify them via email. If you're thinking of becoming a member, now's a great time too as we've got five general admission tickets to give to new signups to The Crafty Cabal as well. Head here to become a member – just make sure you select the GABF Geelong signup bonus option in the signup form.